Turn your Galileo grand piano into an entertaining DigiPlayT 'player' piano! The DigiPlayT is an authentic player piano system with an exclusive design that warms your home with the lush sounds of live music. The fun begins when you decide if you'd like to use an iPodÃ‚Â® (or other MP3 player) or a DVD 'slim-line' system to playback your music. Next, you're in control as you choose from over 4000 titles in the PianodiscÃ‚Â® library-recognized as the leader in player-piano music. You even receive 5 hours of FREE music to get you started! Put the music in your player and - voila! - you're listening to your favorite music 'live' in your own home! 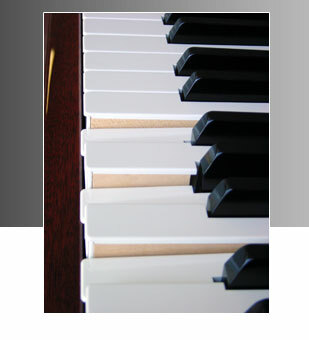 Your DigiPlayT system can play "solo" piano music, "orchestral" music - even vocals from your favorite singers! Connect your DigiPlayT to your home entertainment system and you'll fill your house with the warm-sounds of live piano music. You'll feel great as you and your guests enjoy the exquisite performance of the DigiPlayT system. The Galileo DigiPlayT -enhances your home with live entertainment!